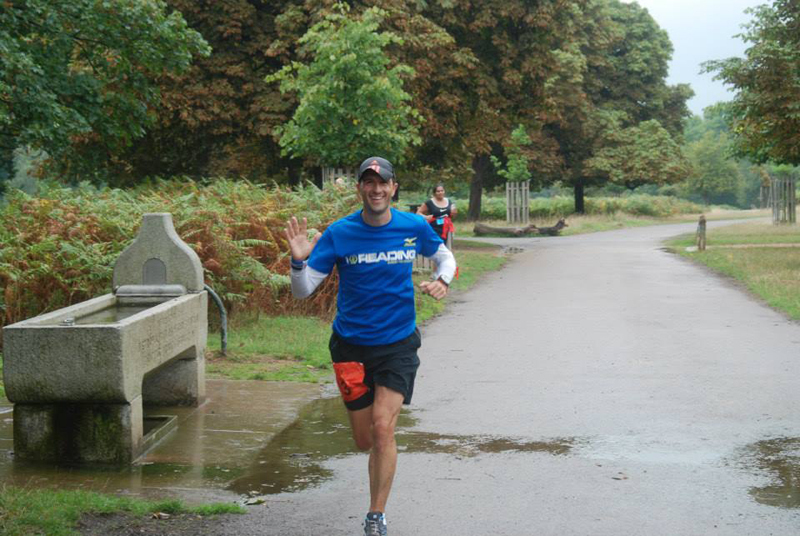 I took part in the Thames Meander marathon as a warm up run for Sparta. Part of the reason for entering a competitive event was to force me to run a little quicker than my usual easy training runs, however this was not planned as an all out effort as I wanted to be able to run the next day. 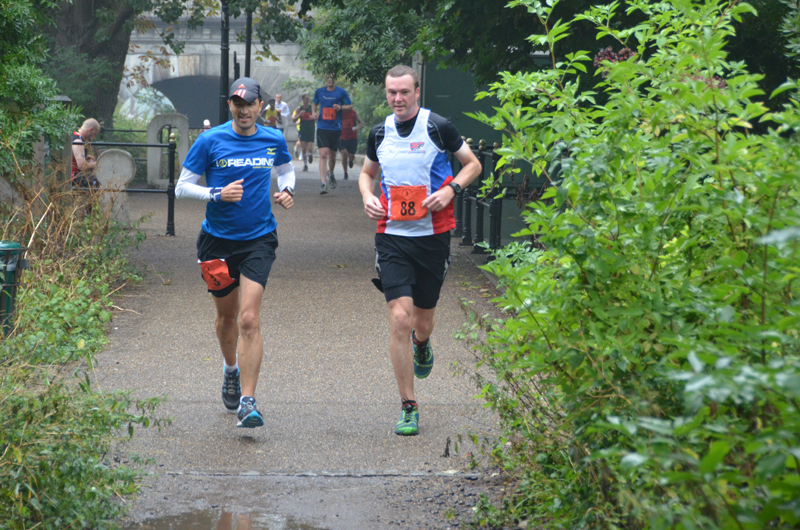 The event is organised by Hermes Running and starts and finishes at Marymount School in Kingston, the route is an out and back through Richmond Park and along the Thames river to Putney Bridge and back. There is a Half and full Marathon options for runners. I travelled to the event with Matt Dunn and we met a few familiar faces as we lined up for the start of the race in overcast conditions. The plan had been to go at a steady pace and despite wearing the Garmin I switched this to map mode and ran on feel. Matt and I ran the first half of the race together following the clear markings and bypassing some runners until you settled into a natural pace with others around you. The weather was still pretty cool with some light rain as we followed the Thames Path to Putney Bridge. The run was pretty comfortable as we were able to hold a conversation the whole way as we hit the turnabout point in just over 1hr 46mins (about 8.15m/m pace) and then headed back towards the start. 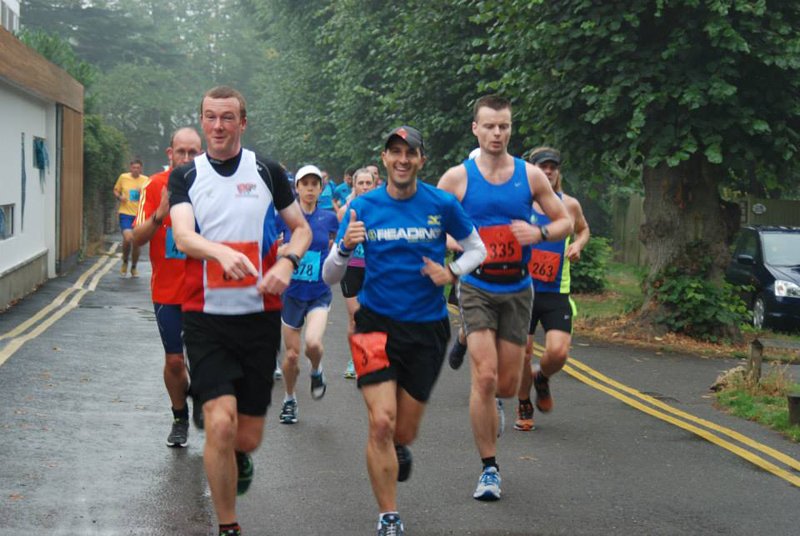 Matt dropped off the pace a few miles into the return leg having recently run the NDW 100 a couple of weeks earlier and I continued on at a steady pace by myself. As I reached the 20 mile mark, I still felt pretty good. It’s surprising how different (and good) you can feel running a little within yourself (by only 30 seconds per mile based on current marathon PB standard). There were a few leg aches creeping in as expected but it didn’t feel like the real effort you sometimes need to display at this point in the race. I trotted along heading back through Richmond Park and passing a few runners who were looking like they were on their last legs. It was quite a nice feeling to overtake a handful of people at this late stage. With a few minutes to go, the heavens opened and the rain came down. In fact it was torrential rain, recognising I was only a few minutes away from the finish I upped the pace and made a dash for the line finishing in 3.33 with pretty even splits for the first and second half of the race. I was pretty pleased with the run, it was probably my most comfortable marathon run ever and an enjoyable run. For your entry fee, you had a well marked and well supported route, medal and the use of showers and a hot meal afterwards. Overall, it was a well organised and good value event which I enjoyed.